Despite your love for the pets, the ownership of a pet comes with its challenges especially making sure that the house is clean and smelling fresh. You may clean the pets regularly but at times, they present an odor that does not reflect your effort to remove any odors. However, there are schemes you can take to avoid bad odors from the pets in the house. The baking soda is one of the best steps to take to remove the bad odors from the pets. The baking soda is also useful as a natural air freshener as it can remove other odors from the house. The soda and other freshening sprays are used in conjunction with other cleaning activities such as removing traces of animal waste to avoid the pet revisiting the same areas. The baking soda makes the house smell natural and freshened. Some specific products remove pet odor. Use of high-quality pet neutralizer is a step to removing bad odor from pets especially after cleaning the pets and the house. In addition, remove mess immediately and clean the areas with pet specific products. Use of sprays on these areas and neutralizers leaves the areas clean and fresh, but one should take care to use nontoxic products that can harm the animal. Clean the pet and everything associated with the pet in specific ways, for example, you should clean the pet’s dishes with hot soapy water. Objects and toys associated with the pets should be cleaned thoroughly and regularly. In addition, clean the pet areas with the pet-specific cleaning products. In addition, cleaning the pet is part of the steps to remove the bad smells from the pet itself. For example, if you have a dog you can spend some time brushing its hair daily to distribute the natural oils within its skin and reduce odor. Regular cleaning, especially on the area that the pet likes to spend most of its time, will reduce building up of the smells. 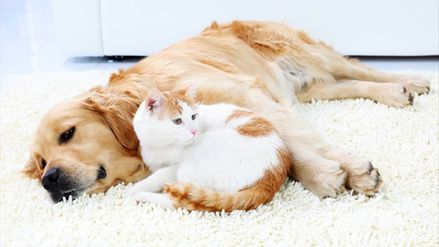 Carpet cleaning is also an effective way to remove the pet odors from the house. In most cases, if the carpets are dirty, the sprays in the air will not override the odors for quite a long time use of appropriate carpet cleaning methods and regular cleaning is a certain way to help reduce the pet odor as especially if the pet plays around in the house. We live in times when animals are our companions and can live anywhere in the house. Therefore, pet odor removal is a necessary step to avoid smells in the house. Use of pet specific pet cleaning products, non-toxic sprays and regular cleanups in the house reduces the smells such that you may not realize the presence of the pet within the house. 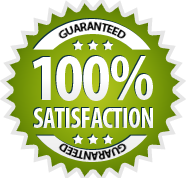 D&G Carpet Cleaning specializes in removing pet odor from carpet, rugs and upholstery. If you come across difficult to deal situation please feel free to call us any time or visit out Pet Odor Removal page.